In this article, we are going to focus on such important elements of writing as language and style. The passive voice is used in academic writing quite often, because it has a more impersonal and objective tone. However, the active voice is also used, that is why we advise you to consult with your department for the specific guidance in regards to the usage of the passive and active voice. R.R. Tolkien wrote The Lord of the Rings. Here more emphasis is made on the action itself rather than on the subject performing it. You can also see that it is more formal than active voice. For this reason, it is not used in day-to-day speech that often. The general advice for academic writing is to use the mixture of active and passive forms (only if it goes in line with the guidelines of your department). Let us take a look at the example: the results of the research suggest that high consumption of sugar can be a reason for many diseases, including type II diabetes. Here, the author used “results suggest”, which lets the reader know that it is an assumption that can be affirmed or refuted in the future. Example: It is possible that the effects of the quantum world are applicable to our mundane reality. The phrase “it is possible” has a certain level of uncertainty, which makes the reader know that the author is not 100% sure about that statement. Signaling words are very useful tools that can be utilized to show the relationship between your arguments and ideas. They can clarify your argument and make it easy for your reader to grasp your ideation. These words are called signaling because they make your reader understand what will come up next. Look at this example: “The laboratory method proved to be beneficial because the relationship of the casual nature was formed between the generating attributes and cognitive load. However, the utilized method created an artificial setting that reduced the ecological validity of the study.” The word “however” in the second sentence indicates that there can be a downside to the method that proved to be useful. It also lets the reader know that the author does not feel sympathy to the first opinion and may be even more prone to choosing the second one. 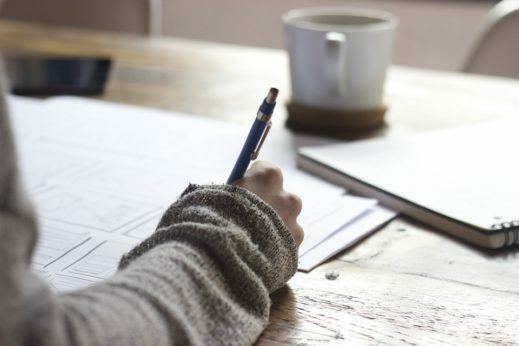 Keep in mind these five language and style tips for academic writing and you will notice that the quality of your academic works steadily increases. On our website, you can order yourself an essay on any topic.